A ready-to-drink bottled black coffee tested over ice. Lively, gently bright and refreshing. Notes of cocoa, roasted cashew, orange zest, green apple, narcissus-like flowers. Crisply and sweetly tart in structure; the body is light but plush. Cocoa and citrus consolidate in a clean, sweet finish. Adding whole milk turns the chocolate caramelly and nut-toned, with a continued floral shimmer. 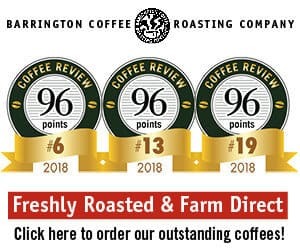 This coffee tied for the second-highest rating in a tasting of ready-to-drink bottled black coffees for Coffee Review’s July 2018 tasting report. Sold in 11-ounce cans. Prepared by the cold-brew method, which involves prolonged steeping of ground coffee in cold or room-temperature water and subsequent filtering. Infused with nitrogen gas after brewing. Contains no additives or ingredients other than coffee, water and nitrogen gas. 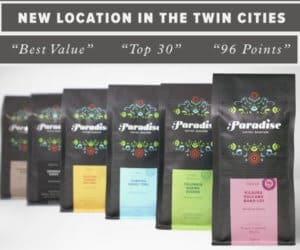 The green coffee used to produce this particular Cadence product is a single-origin Ethiopia. Cadence specializes in cold brew coffee using distinctive green coffees skillfully roasted, brewed and nitrogen-infused. The Cadence line of cold brew coffees can be found in specialty retailers throughout the upper Middle West. Visit www.cadencecoldbrew.com for more information. The Bottom Line: A superbly balanced, refreshing cold coffee, crisply cocoa-, citrus- and floral-toned. This review originally appeared in the July, 2018 tasting report: Cold-Brewed Black Coffees: Quality in a Can?